Brookfield, a leafy semi-rural suburb in Brisbane’s west, has been off the Fire Ant Restricted Area maps for many years. But it is back on them again now. In September this year owners of a landscape business in Brookfield did the right thing and reported suspicious ants to Biosecurity Queensland. Biosecurity Queensland collected some samples of the ants and identified them as fire ants: one of the most dangerous and aggressive pests on the planet. The latest Fire Ant Biosecurity Zone map, from July this year, covers 411,500ha. It is even bigger now with new infestations being found in Brookfield and Bracken Ridge. Fire ants are out of control because Biosecurity Queensland has failed to stop the spread of fire ants. Brookfield first suffered from a fire ant infestation in 2001. The local Show Grounds became heavily infested when soil from a fire ant infested area was brought onto the show grounds to create earthen seating stands. It is likely that Brookfield has become infested again the same way. Fire ants are now out of control because Biosecurity Queensland has no movement controls to stop people carelessly or accidentally, moving fire ant friendly materials like soil, mulch, compost and pot-plants from fire ant infested areas to fire ant free areas. When fire ant experts from the USA inspected the fire ant infestation in south-east Queensland in 2001 they said it was as bad as anything they had seen in the USA and called it ‘fire ant heaven.’ They said that unless Biosecurity Queensland implemented movement controls and an ‘aggressive containment’ program to stop the spread of fire ants, there was little chance that Biosecurity Queensland would stop the spread of fire ants or eradicate them. Biosecurity Queensland rejected sound scientific advice and, instead, chased after the last ant to eradicate it and failed to stop the spread of fire ants from known infested areas. Fire ants are now out of control because Biosecurity Queensland has failed to stop the spread of this dangerous and aggressive pest. Fire ants will wreak havoc with Queenslander’s lifestyle, economy and environment for many years to come. Biosecurity Queensland has spent more than $350m of public money on a fire ant program with the result that fire ants now infest an area ten times what it was in the beginning: 31,277ha in early 2002 to more than 411,500ha now. Fire ants are out of control because Biosecurity Queensland has failed to implement a program of movement controls and ‘aggressive containment’ to stop the spread of fire ants. The Queensland Government is now dumping the problem of the uncontrolled spread of fire ants back onto the public. 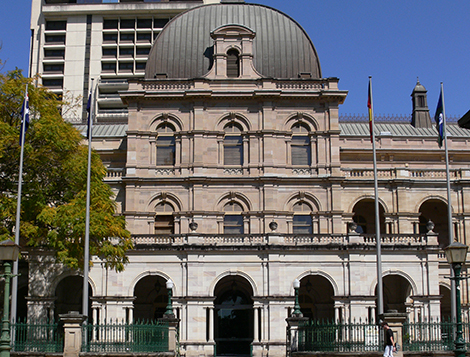 The new Biosecurity Act, which came into effect on the 1st July this year, allows the government to appoint private biosecurity inspectors, accreditors and auditors to deliver services for containing the spread of fire ants and to charge the public for those services: services that Biosecurity Queensland failed to provide with $350m of public money. Fire ants out of control: now in Bracken Ridge.